About Client: The client is an electronic discovery provider for litigation, audit and investigations had installed their proprietary “Redaction” application in the customer place. Challenge: The client approached Kensium BPO to do redaction for one their rush projects after knowing that Kensium BPO runs coding operation 24/7*365. Apart from this the client also aware that Kensium BPO has the capability to dial in remotely to client desktops anywhere in the world. The client approached the Kensium BPOto login to the user desktops remotely using the secured VPN connection. The client also wanted the Kensium BPO IT Team to allocate the flexi teams on the redaction project as it can help to scale up or scale down quickly between the shifts. Solution: The Kensium BPO IT team worked closely with the client’s IT team to set up secured connection between coding operations and client workplaces. The IT team ironed out other issues related to connectivity, bandwidth etc. Kensium BPO allocated resources based on the availability of desktops at the client location and they redacted information in the text like Name, Date of Birth, Tax ID, SSN#, Telephone Number etc. from the documents. Results: Kensium demonstrated its capabilities in remote coding using RDP (Remote Desktop) applications. The assignment also displayed Kensium’s strength in IT support and Network services area. The coordination between different functions within Kensium was outstanding. Kensium’ s ability to work in 3 shifts and flexibility to scale-up or scale-down according to client need, has made this project a successful one. About Us: Kensium is an end-to-end global solutions provider of IT and Knowledge Process Outsourcing services. Kensium's focus lies in its core values of Knowledge, Effectiveness, Novelty, Speed, Innovativeness, Uniqueness and Management. This allows our clients to focus on their core strengths. Our success is measured by our strategic relationship with all our clients. We believe that each client is unique and so are their requirements. 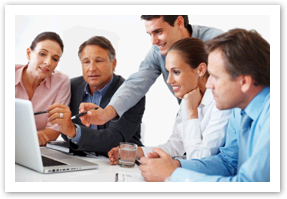 We develop customized business process outsourcing solutions for individual businesses. © Kensium BPO. All Rights Reserved.